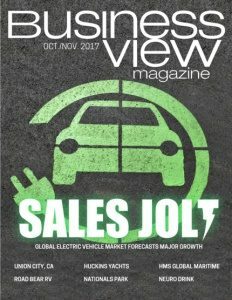 Business View Magazine interviews Dominick LaCombe Jr., General Manager of American Custom Yachts as part of our focus on the maritime industry. American Custom Yachts’ name reveals just a portion of what this Stuart, Florida-based company has to offer: repairs, repowering, and refurbishing yachts, complete painting services, and vessel storage are an important part of its business model. But it is ACY’s custom-built, high-performance vessels and their exceptional quality that truly established its name on the world stage. 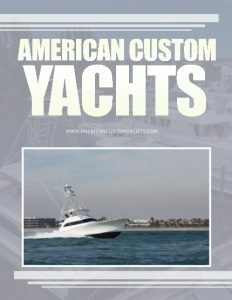 American Custom Yachts was founded in 1991 by Dominick LaCombe, Sr., who had acquired a solid reputation in the industry by age 29, when he was running Monterey Boats, a leading manufacturer of sport-fishing yachts. At ACY’s inception, his résumé already included supervising construction of the fastest diesel powered, sport-fishing boat in the world, which reached speeds of 48 knots. Custom-boat builders were commonplace at that time, with the city of Stuart being well-known in the industry. But most of the companies were not known for producing vessels that were exceptionally fast, a feature that is a calling card of ACY’s meticulously hand-crafted sport-fishing boats. The company’s vessels are crafted using traditional, cold-molded, wooden boat-building techniques, but feature ultra-light materials, such as Kevlar, which are used in the aerospace industry. For strength, laminated wood is used for the keel, stringers, and deck beams; fiberglass and Kevlar-laminated plywood are utilized for hulls and structural bulkheads. The Kevlar, a polymer stronger than fiberglass, is the secret to each craft’s light weight and high speed. As more orders were received, ACY found that it had outgrown its facilities, so the company shifted operations to a new location on the Okeechobee Waterway, with easy access to the Atlantic Ocean and the Gulf of Mexico. The move also facilitated an update to the company’s business model to include repairs, repowering, and refitting, complete painting services, and storage for more than 300 vessels. 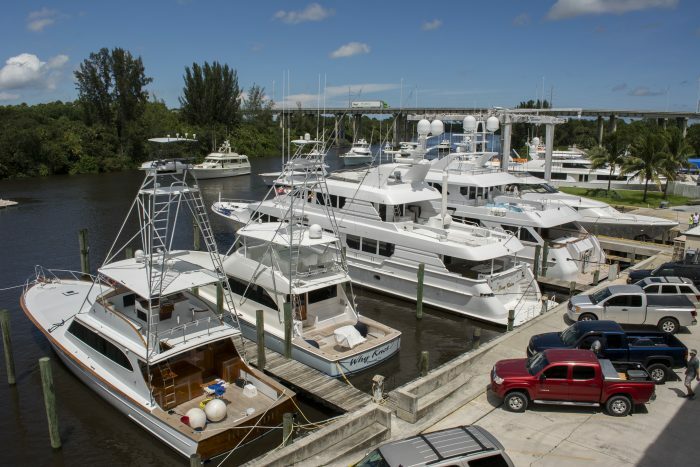 ACY’s 63-acre campus also includes two subsidiaries, Bausch-American Towers, which builds aluminum sport-fish towers, custom-molded lightweight hard tops, and accessories; and Venture by American, which builds handcrafted, luxury, center-console boats. From its humble beginnings, the company has grown to 95 employees, and over time, service and repair has replaced yacht building as the dominant portion of ACY’s overall business. “Up to 2005, we used to be about 65-70 percent production. Recently, we’ve probably reduced production to around 30 percent and service up to 70-80 percent,” LaCombe avers. In addition to adapting its business model, LaCombe believes that ACY has sustained itself through brand recognition and its longevity in the industry. But it still has to promote itself which is why it recently created an in-house, business development office. Another key move for the company came in 2014, when LaCombe’s partners purchased North America’s largest yacht manufacturer, Westport Yachts, based in Port Angeles, Washington.